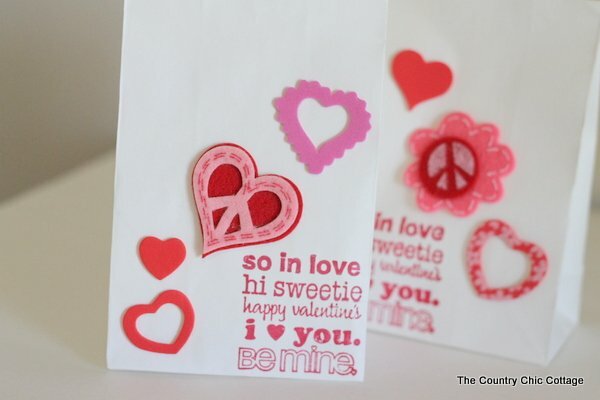 Time for another quick and easy Valentine’s Day craft. My handmade Valentine’s Day treat bags are sure to be the star of the classroom. Plus I have a version for boys and girls so you can find one for any child in this post. This is part of the Craft Lightning series this week where I post a 15 minute or less craft each morning and a round up from around the web each afternoon. 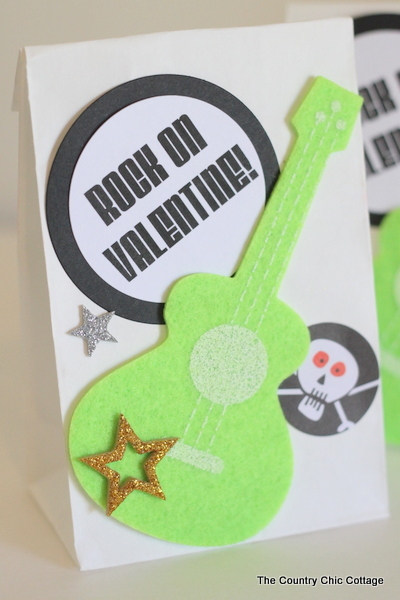 Link up your quick and easy Valentine’s Day crafts to our Craft Lightning linky party for a chance to be featured. If you have missed any of the fun here this week be sure to catch up with the round ups from day 1/2, day 3, and day 4. Now lets get crafty. This project was originally posted over at Crafts Unleashed but I am reposting here in case y’all missed it. Some of these supplies were provided to me by Consumer Crafts as part of my design team status. However all projects and opinions are my own. 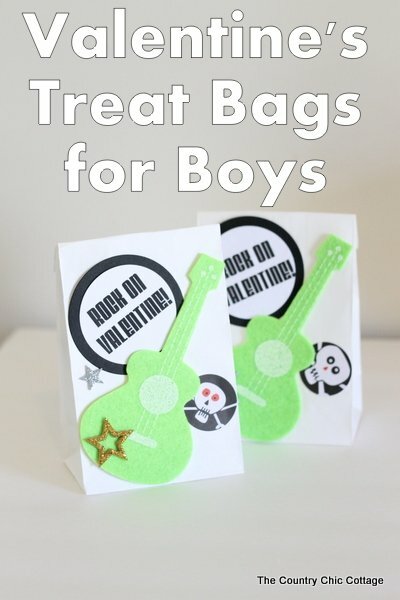 For the boys treat bags, the felt guitar was my main element. 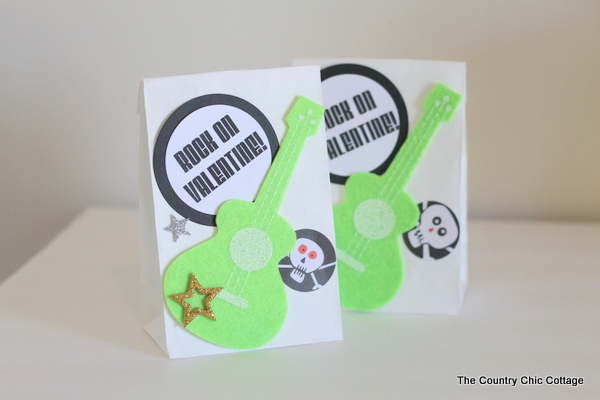 I added “ROCK ON VALENTINE!” printed on card stock. I used my Sizzix to cut both the printed white card stock and another circle from black card stock. 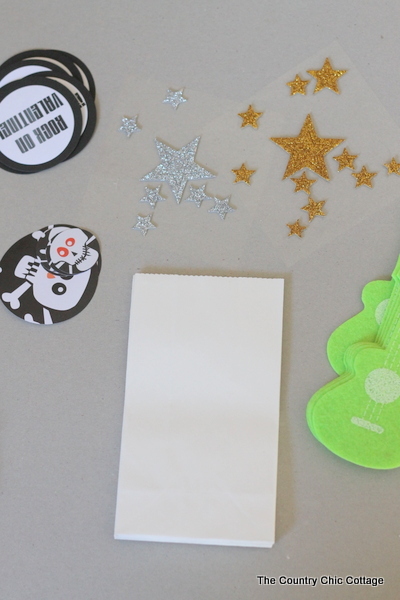 Use any method of paper cutting you have available to get your elements. You can use scissors or a paper cutter to make a square or rectangular element instead of a circle if desired. I made all of my elements first and set up a mini assembly line to put together our bags. The first version was not boyish enough for my 7 year old so he insisted on adding the skull element. Thank goodness for leftover Halloween scrapbook paper huh? I used a couple of different sized circle dies to get those skulls out of two sheets of leftover paper. I actually used hot glue for all of the elements except for the star stickers. It was handy and I like to keep things simple. Do you have girls and not boys? I have you covered. I made some girly treat bags as well. These are so super simple. I used a Valentine’s Day stamp and pink ink in one corner of the bag. Then used a variety of the foam and felt stickers to decorate the bag. Get the kids involved in the making of either of these treat bags. 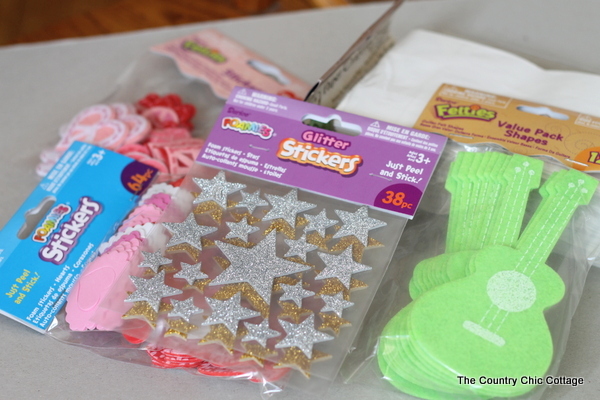 Quick and easy crafts like these are perfect for little hands. Plus they will be extra proud when they take these to school that they helped to make them. 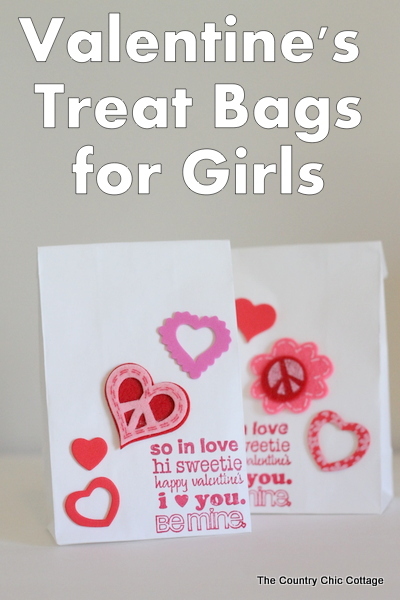 Grab a few supplies and make either my boy or girl version of these handmade Valentine’s Day treat bags. 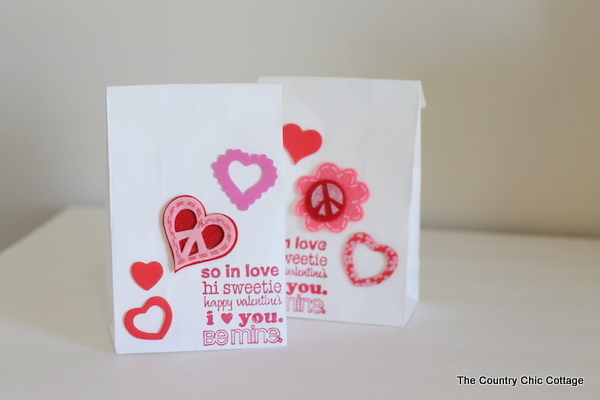 I hope you will stick around and enjoy quick and easy Valentine’s Day crafts all week right here.